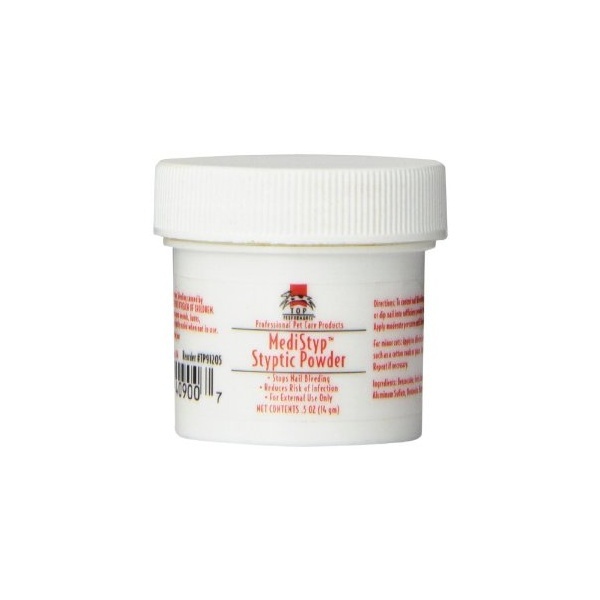 The Top Performance® Medistyp® Styptic Powder is a quick and effective way to stop the bleeding caused by clipping nails and dewclaws, docking tails, and minor nicks and cuts. Benzocaine helps alleviate pain when applied to bleeding nails or minor cuts. 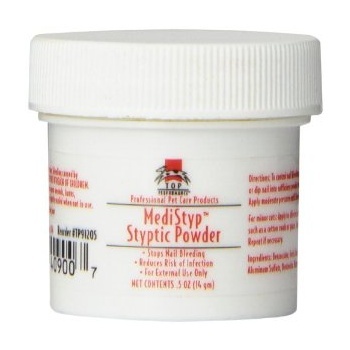 Medistyp®Styptic Powder with Benzocaine comes in a 0.5 size.